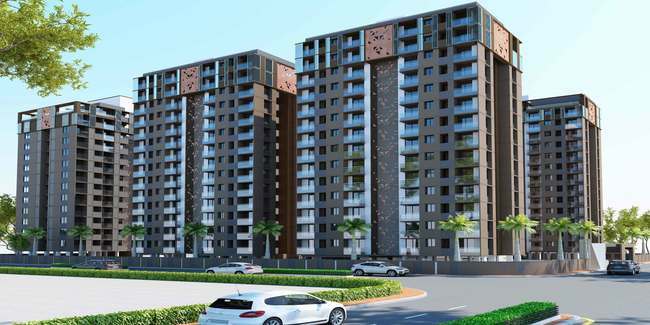 Details: The project is coming up at Gota, SG Highway, Ahmedabad. It offers 6 towers with B+Stilt+14 floors, having 452 units of 2, 3 & 4 BHK apartments. The amenities include banquet hall, Jacuzzi & sauna, supermarket, children's library, swimming pool, gymnasium, disco theque, multipurpose outdoor gaming court and basketball etc.